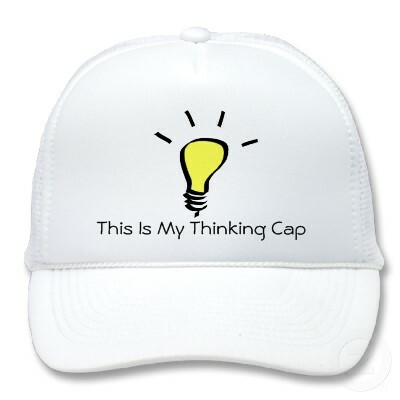 A Date with the Thinking Cap! It seems there is no end to our desires. The more we get, the more we want to get. Everytime we end up accomplishing something, the confidence goes up leaps and bounds and gives birth to a new ambition and a new desire. Some would say, after all there should be some aim in life. Without any aim, life would look so meaningless. True to the core, but have you ever realized that these ambitions and desires in turn lead to a rat race of sorts where everyone is busy catching up with the latest happenings in order to ensure that they don’t miss upon any opportunity what so ever of making money and thereby growing in stature and prestige. I sometimes wonder, as to what was the aim with which God sent us all on this planet. Was it to get caught up in this illusion that the World is believed to be according to the Hindu mythology? No one has been able to answer it with enough scientific evidence in order to establish any kind of substantial truth behind the same, though there have been various answers coming from every nook and corner of our country with various and different interpretations of the same. Some of these interpretations are very much influenced by the whims and fancies of those who want to have some command and authority on the aspects related to religion and spirituality. It is extremely fascinating to think about the manner in which a human mind goes about thinking and how we end up deciding the rights and wrongs of our society, which in turn leads to our words, actions, habits and in turn to our character and judgements about people thereafter. But in all this thought process, have we forgotten the art of expressing content and appreciation for something that we have been able to accomplish over time or for something that someone does for us? Have we become so materialistic and self-centred so as to forget the very meaning of humanity, where our only aim is to accumulate more and more, may be for the generations to follow? “Kush! During my childhood years, I was conditioned to get more and more in life. The only aim in life at that point of time was to get praise and respect from the people around you. My mother always taught me that if you want to be respected and admired in the society then you need to be there on top. All my life, I took my mother’s word as a doctrine which was never to be violated. I qualified JEE with a rank that most people would be proud of. I was a 9 point something CGPA in college which was considered to be amongst the best. 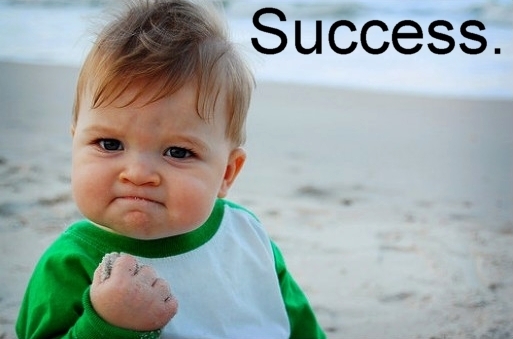 I gave GRE and scored the highest of all who had appeared from my batch. But the ambition of becoming more and more important never seem to take a halt. I then appeared for the Civil Services Examination and got a very good rank so as to ensure that I become an IAS officer. I joined the service but I still couldn’t feel satisfied with what I had. Of all the things in the World, I wanted to become more and more important. It was only after the first 5 years of my service, I began feeling suffocated and it was then that questions such as what is it that I really want to do with the 70+ years or so of life that are given to me by God. I started becoming frustrated and wanted to run away from every important thing that I had ever accomplished. There was everything that I had: respect, money, prestige, power. But there was something that was missing. And the thing was peace of mind and a satisfaction that I was doing what I really wanted to do. It was then that I decided to quit my job and started exploring the various things that I would be happy doing. Today, when I look back at things, I feel that quitting what people would call one of the most lucrative of jobs in India was the best decision that I had ever taken for myself in my entire life. And trust me, I am really happy about it. There are times when many youngsters like you would take up a job just because it is highly remunerative or because it might enable you to get all the materialistic things in life that you might have been coerced to wish for all your life. For all the people out there who are caught up in a similar situation and are feeling suffocated or dissatisfied with what they are doing, the only advice that my professor would have given them would be to take a break and think about what you really want to do with your life. And trust me, this little break that you might take can do you hell lot of good. It can change your entire perspective about life. It can help you be what you want to be. So, put your thinking caps on and start thinking! This entry was posted in Philosophy and tagged Ambition, Life, Peace of mind, Satisfaction, Society, Success by kushsrivastava. Bookmark the permalink.